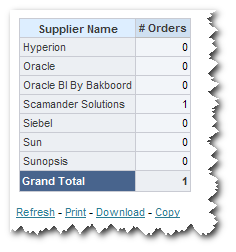 One of my clients wanted to change to color fromat of the grand-total columns in a Pivot-view. The format of values of the grand-total should match the format of the label of the grand-total. 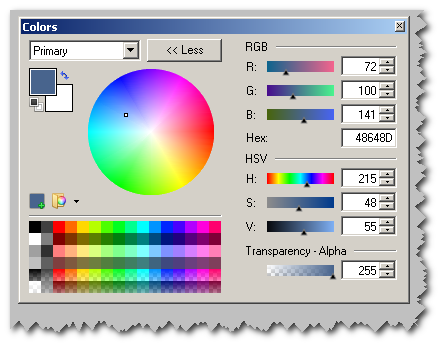 I used to go to one of John’s blogposts; OBIEE views.css color cheat sheet. One of my colleagues pointed me to the color picker functionality in Paint.Net, although there are probably more programs with such functionality. 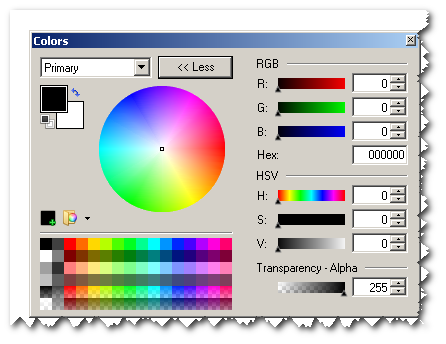 Click on the color-picker in the tools-window. Use the color-picker to select the color you want to use. In this case I had to click on the grand-total column. Now when you check the colors-window, you get exactly the color codes you have to use to change the format of the grand-total values. Very easy to use, but yet very handy.